How many people know what career path they’re going to follow as soon as they graduate high school? For Doug Velting, owner of Bayville-based Velting Overhead Door, that came as naturally to him as, well, opening a door. 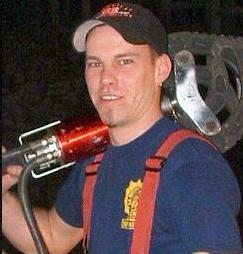 Upon graduation he started working for his uncle’s door company. Twelve years later, after learning all the nuances of operating this type of business, he decided it was time to branch out on his own. Most people know that “overhead doors” are primarily garage doors for both residential and commercial areas, but the term also extends to applications such as rollup truck doors, airport hangar doors and storefront security grilles. 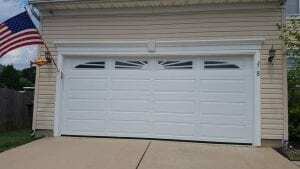 Velting Overhead Door sells and repairs all of these as well as installing garage door openers. Buying a garage door is more involved than it may seem, and Doug is an expert who provides sage advice. Steel garage doors, for example, are the most popular and, in general, cost the least. They can be customized with a faux wood and a grain finish in many colors to match one’s home. Aluminum garage doors, treated for weather resistance, can generally last the life of a home with proper maintenance. 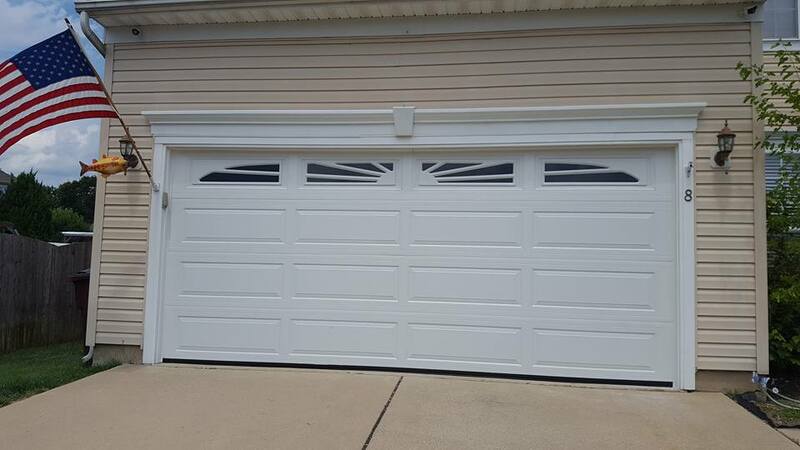 Vinyl garage doors are dent proof and won’t rust, fade or crack, and are especially valuable for coastal regions as vinyl is resistant to salt air and sand. When it comes to garage door repair, Velting has an excellent reputation and every repair comes with a one-year warranty on replaced parts. They also offer a “Works Package,” which comes with a full three-year warranty on both parts and labor. In addition to owning the shop, Doug is a member of the Cassville Volunteer Fire Company, Station 56, in Jackson, where he has served many roles over the past 15 years, including that of president. He also is very active in the community with his kids where he is a coach with both baseball and Pop Warner football programs. Congratulations to Doug and Velting Overhead Door for all their success as a NJ-based business. To learn more about then visit their website or Facebook page. Velting Overhead Door is just one of many thousands of organizations that comprise NJBIA’s membership, which is diverse with representation from an amazingly large and wide spectrum of fields, industries and professions. Look for more unique stories about NJBIA members in future issues of “Beyond 10 West Lafayette,” NJBIA’s membership blog.